Magnesium is essential for all forms of life : people, animals and plants. It exists in the blood, body, cells and bones. We cannot produce magnesium ourselves, so we rely on a daily supply, but over time, our diets have become more deficient in magnesium. 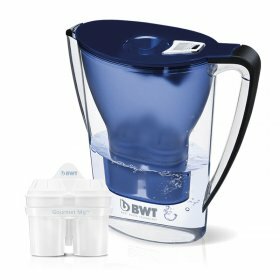 BWT water filters provide up to 40mg of magnesium per litre of water. Not only is this helping the body function, and providing additional healthy benefits (see below), but magnesium also gives water a delicious natural taste, and is naturally present in most bottled mineral waters. As it is recommended to drink 8 glasses of water a day (National Health Service – Live Well recommendation), the BWT filter jug is the perfect way to ensure you supply the body with vital magnesium. Those people actively taking part in sports often have a greater need for minerals. For every litre you sweat you lose around 36 mg of magnesium - a mineral that we can often be deficient in. Active people also use their muscles more which draw all of the nutrients that they need from the blood. If magnesium is not present in sufficient quantities, the muscles weaken and lose their power. In the worst case muscle cramps can occur. Most athletes know that magnesium is important for their health, but only a few know just how essential this vital mineral is for their athletic performance levels. Even fewer are aware that their normal food intake does not always provide them with sufficient quantities of this vital mineral. Muscle cramps are one of the difficulties that both recreational athletes and, in particular, professionals dread. With lots of movement, it is important that the magnesium balance be maintained. Ensuring that the magnesium balance is maintained is necessary for every athlete. It is recommended that an average adult should consume at least 300 mg of magnesium daily in order for their nerves and muscles to function smoothly. By letting your drinking water filter through the BWT Magnesium Mineralizer - which enriches normal drinking water with the valuable mineral magnesium - you are helping to ensure your body has a reliable and ready-to-use supply of magnesium. 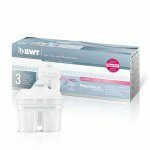 This is the only filter that enriches tap water with the vital mineral magnesium and reduces the limescale content during the filter process. The result: water with an almost neutral pH value that connoisseurs of high-quality mineral waters will appreciate for its delicious taste. 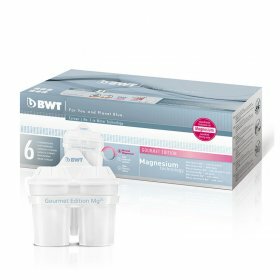 The BWT Magnesium Mineralizer ensures real drinking pleasure and is perfectly suited to the preparation of coffee, tea, ice lollies and smoothies. Approximately 20% of your daily requirement for magnesium can be covered simply by drinking the right water.